Mark is a softly spoken man with years of experience, you can tell. He is one of those people who was born with years of experience. He, thus, epitomizes the word “expert”. He is a horticulturist through and through, with over 30 years in the industry, yet with a keen interest in both social media and the way our lives will have to change from the corporate hamster wheel, to a life closer to nature. Mark is currently a freelance landscape gardener but has a distinguished background in historic gardens and horticultural landscapes. The slightly sad part first: You will not make millions working in horticulture. Entry level salary as a gardener is around £17k, with a management level salary of around £35-50k. However, the likelihood is that you are wanting to get in to horticulture because it is a passion of yours, in which case you should not let that deter you. If one is to believe Mark, the positives heavily outweigh the negatives. You can absolutely learn on the job, but if you really want to make it in this business you will need a professional qualification to back up your knowledge, preferably in horticulture. Mark has several qualifications to his name, all of which are not necessary, but has certainly helped him stand out from the landscape gardening crowd. A good starting point is looking at the Royal Horticultural Society’s website: rhs.org.uk, for pretty much all the information you need in terms of courses and learning on the job. Mark himself started out with a Diploma in horticulture at the Royal Botanic Gardens Kew, which gave him a fantastic starting point as a Botanical Horticulturist. He carried on his training at the Royal Horticultural Society Gardens in Wisley in Surrey. Through these Level 2 and Level 3 courses you will gain a great understanding of plants and how they work, how they grow and develop. You will also get an understanding of garden history and design. 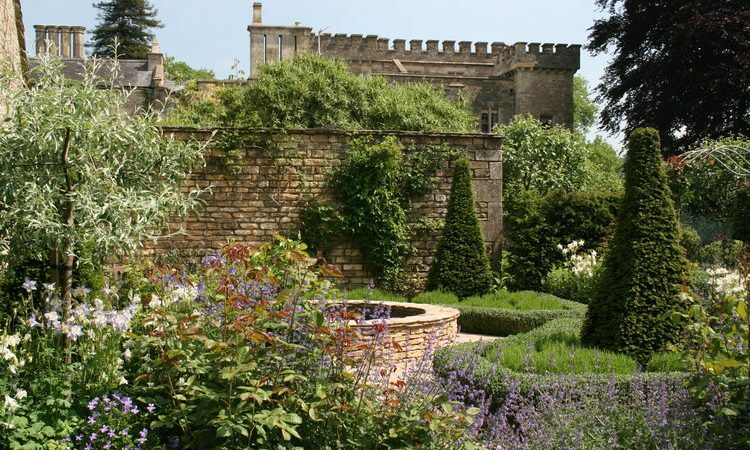 Once you have gained this level of knowledge there is nothing stopping you from going even further; Mark has also got a Masters Degree in Conservation of Historic Gardens and Horticultural Landscapes. With this qualification Mark was able to work as the Garden Advisor for the National Trust. As previously mentioned, Mark is currently a freelance landscape gardener working with both private and corporate clients. He believes that a move from a stressful, sedate corporate world, to a world lived outside working with plants, is a great stress buster and a step in the right direction for general well being. Apart from the somewhat modest earnings and the fact that you will get wet and muddy, there are not many downsides to working in horticulture. Also, a positive side to coming in to horticulture slightly later in life, is that you will have certain life skills, or skills learned and developed in a corporate world. As Mark explains, even though he is working freelance, does not mean he is actually working on his own. There are a whole host of people he needs to be able to get on, communicate and negotiate with on a daily basis; the architect, the client’s personal assistant, lighting specialists, pond specialists etc, which means interpersonal skills are of utmost importance. Mark suggests, a great place to start is volunteering at various public gardens, and to build up your network through the vast amounts of landscape gardening groups on social media. All in all, it is very clear, that Mark is extremely positive about his job as a landscape gardener. Join Mark for a day to see for yourself!